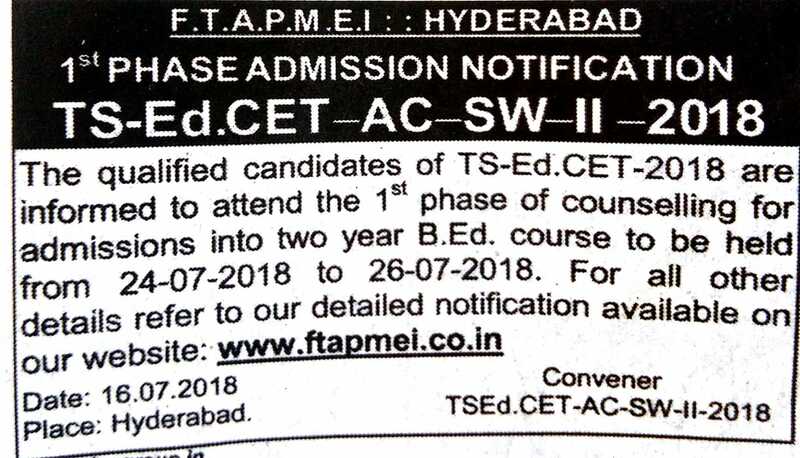 TS EdCET-2018 qualified Muslim & Christian Minority candidates are informed to attend the Certificate Verification for exercising of web options in the 1st Phase of Counselling for admissions into two year B.Ed., course for the academic year 2018-19 held from 24-07-2018 to 26-07-2018.For more Details Visit Official Site ftapmei.co.in. 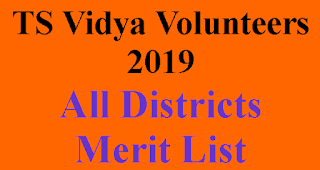 Candidates will have to pay the non refundable of Rs.300/- and Rs.900/- towards Registration and Counselling Fee respectively. 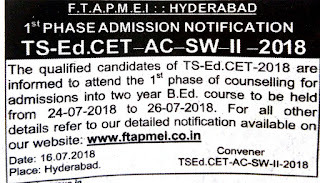 Fee shall be remitted in the form of Demand Draft drawn in favour of “Convener, Ed.CET-AC-SW-II-2018 Admissions”, payable at Hyderabad or in cash at the bank counters located at the admission Centre. 1. This notification itself is a call for counselling. No separate call letters shall be sent to individual students. Mere attending the counselling does not guarantee a seat. 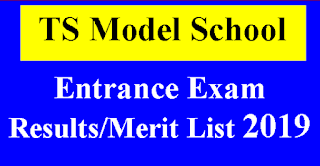 The details of the seats available in various colleges and Methods will be notified at the time of counselling. Students will have to wait for an extra day, if required. 2. The Minority students who take admission in a college through SW-II-AC can slide to a college in SW-I and vice versa. 3. Last date for cancellation of admission taken through SW-II is 31.07.2018. 4. Last date for reporting to the allotted candidates of convener, Ed.CET-AC-SW-II to their respective colleges is 30.07.2018. 5. Read the Government Memo with regard to age limit for claiming of State Scholarship vide Memo No.10537SW.Edn.2/2011-11, of Social Welfare (EDN.2) Department, Dated.28.09.2012.